The Y.O.G.A. for Youth program is one of the first of its kind in the US. Established in 1998 by Krishna Kaur, Y.O.G.A. for Youth seeks to create a dynamic approach for addressing the social and personal challenges confronting pre-teens, teens and young adults. Our programs address youth in the following capacities: school and after school and supplemental programs, pregnant and parenting teens, mental and health-related programs which include HIV/AIDS, drug and alcohol dependency. Our programs are also based in secured and non-secured detention facilities, as well as shelters and inner-city schools and communities. The program presents a comprehensive and transforming model for meaningful rehabilitation that offers physical, emotional, and spiritual1 health to troubled teens. Every Y.O.G.A. 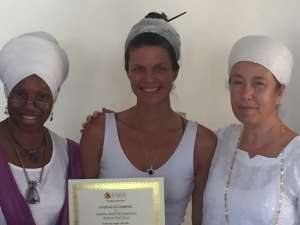 for Youth Teacher has graduated from the world-renowned 40-hour Teacher Training certification course. A course that has proven to deliver “significant results” according to Dr. Sat Bir Singh Khalsa, Harvard University. 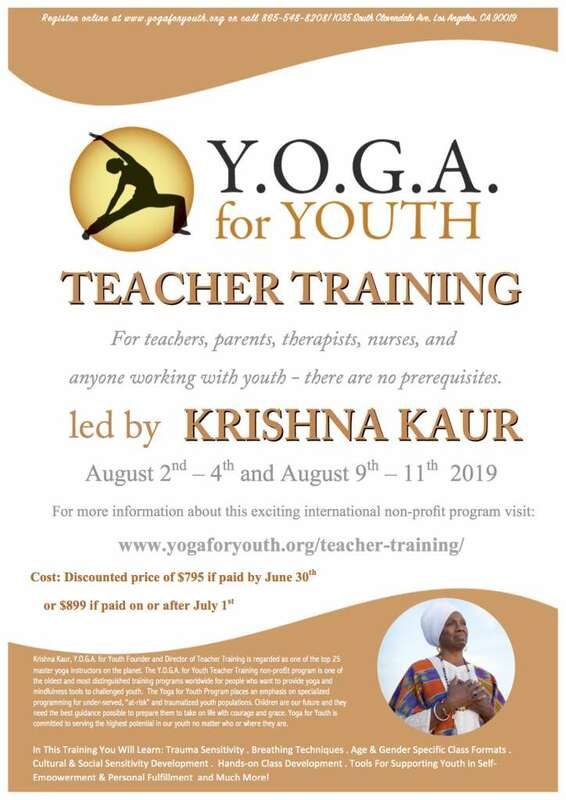 Led by the acclaimed yoga activist, level 2 Master yoga teacher and trainer, Krishna Kaur Khalsa, E-RYT, the Y.O.G.A. 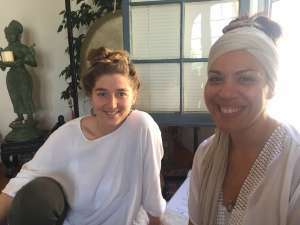 for Youth Teacher Training program is one of the oldest and most distinguished youth yoga programs in the world. 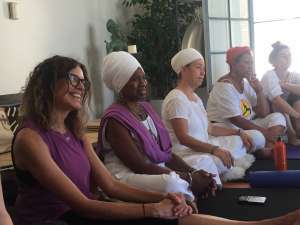 With more than 30 years of youth yoga instruction under her belt, the Y.O.G.A. 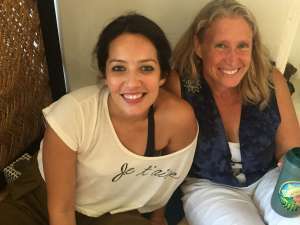 for Youth Founder and Chairman is regarded as one of the top 25 master yoga instructors on the planet. 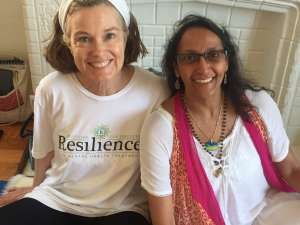 This training teaches some of the most effective approaches to teaching time-honored yoga asanas and kriyas to youth. 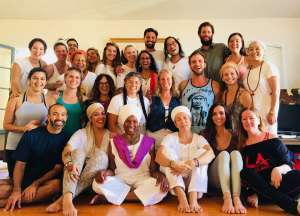 The main area of focus is on giving these teachers tools to present ancient yogic principals in a language that youth can understand and apply to their daily lives. An emphasis is placed on specialized programming for under-served, “at-risk” and traumatized youth populations. The Y.O.G.A. for Youth curriculum addresses major components associated with diminishing fear, the root cause of anger, and increasing a belief in their own greatness. We are committed to alleviating violence, vandalism, substance abuse, obesity, eating disorders, teen pregnancy, sexual assault, bullying, suicide, poor grades and other self defeating behaviors that are prevalent among today’s youth. COLLABORATIONS: partnering with other community-based organizations and institutions creates a solid support system for at-risk youth, and allows for successful re-entry of incarcerated youth into the community. Currently on a monthly basis, Y.O.G.A. 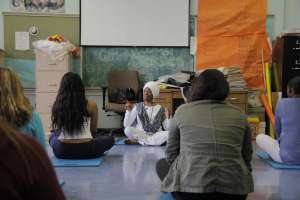 for Youth offers Yoga and meditation classes to over 750 students in inner-city schools. The participants consist mainly of African-American and Hispanic youth. Y.O.G.A. 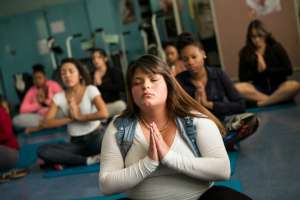 for Youth also provides yoga and meditation classes at various after school and private facilities, as well as detention camps and facilities that provide services for teens with mental and health related issues as well as HIV/AIDS.